New to Market! Updated, Clean, Comfortable and Convenient! Kitchen and dining area with slider to relaxing deck and yard. Family room directly off the kitchen boasts a 70 inch Smart TV. Upstairs bedroom with full size bed, huge closet and AC unit. 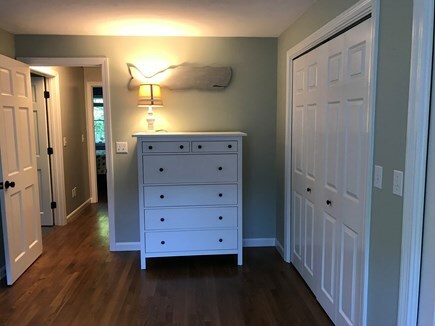 Master bedroom has two dressers and AC. Upstairs bedroom with twin bunk beds and a new window AC unit. 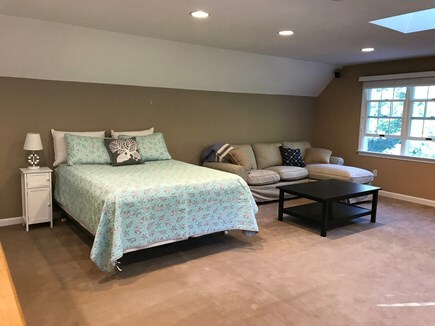 Bonus room above the garage with queen bed, couch and tv. Large deck with patio furniture, huge umbrella & Weber grill. View of the back yard. Deck, fenced yard, wooded neighborhood. 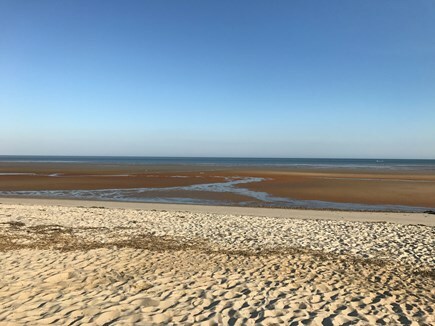 Cape Cod Bay Beaches and Nickerson State Park are a short drive. This home is calling your name! 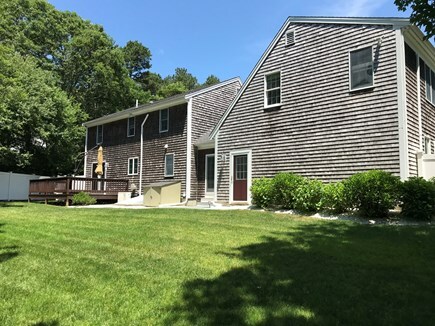 Conveniently located near all the Lower Cape beaches, restaurants and attractions, it's the perfect home for a large or extended family or a getaway with friends. This traditional Cape Cod style house boasts 3 bedrooms and two full baths. 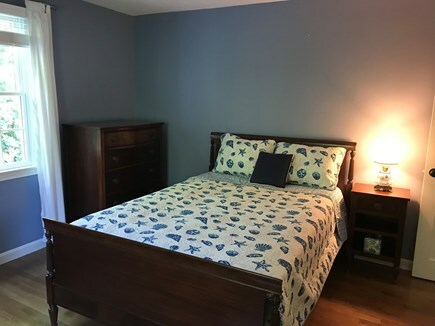 All 3 bedrooms are upstairs including the oversized master with a king size Tempur-pedic bed, the second room has a full size bed, and the third room has twin bunk beds. 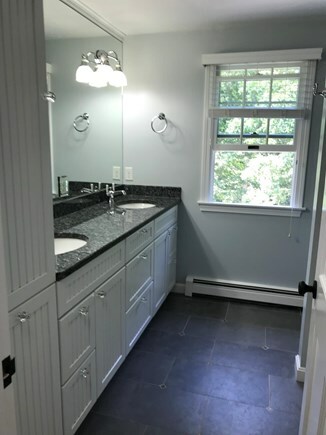 A large, newer bathroom with double sinks and a full tub rounds out the second floor. 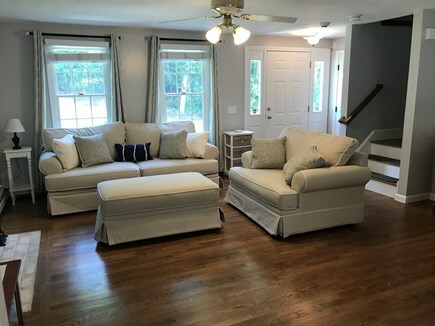 Additionally, there is a bonus room that is easily accessible through the mud room, up the stairway in the garage that features a queen size bed and privacy from the rest of the guests. A full bathroom (with first floor laundry) is adjacent to the mud room and services the queen bedroom above the garage. An Open floor plan includes the living room, dining area, newer kitchen and family room. Almost everything in this home is brand new - couches, kitchenware, rugs, linens and more. Ductless air conditioning cools the main floor living area, master bedroom, and bonus bedroom above the garage. There are also new window AC units in the upstairs full bed and bunk room. 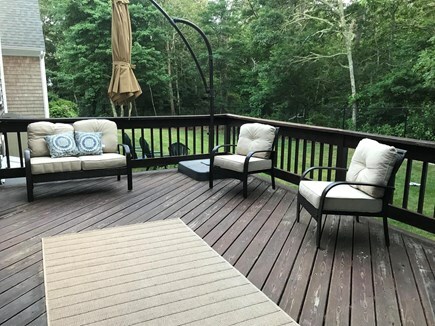 Enjoy relaxing and eating on the large deck overlooking the quiet, wooded back yard. Use the Keurig to enjoy morning coffee, cook on the Weber grill, or have a family soccer game on the flat irrigated lawn. The fenced in yard is ideal for young children or a well-behaved dog. The driveway can accommodate three cars. The house is convenient to the beautiful Captain's Golf course just a mile down the road. While just a few miles away you'll also find the Brewster Whitecaps baseball, Orleans Firebirds, or a drive down historic Route 6A to antique shops and more beaches. This home has space for the whole family to enjoy a memorable Cape Cod vacation!! Smoking is NOT permitted anywhere in the home or on the property. This is a home in a quiet neighborhood, an ideal rental for families, mature couples and retirees. Bed Linens and bath towels are included. As well as beach necessities including chairs, cooler and toys. 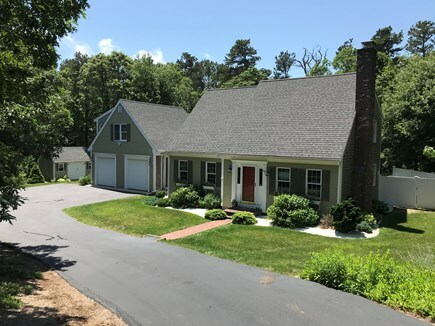 We recently purchased this incredible house, however for the past nine years we had successfully rented another wonderful Brewster property through WNAV. 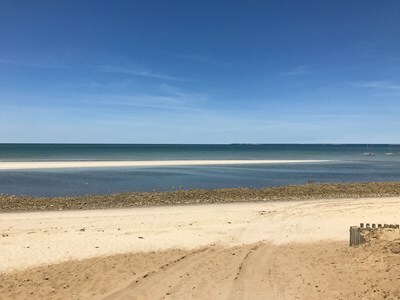 We love renting our Brewster home to vacationing families! Additional pricing info: Multiple week discount! Deduct $100 per week. State and local taxes of 14.45% will apply.